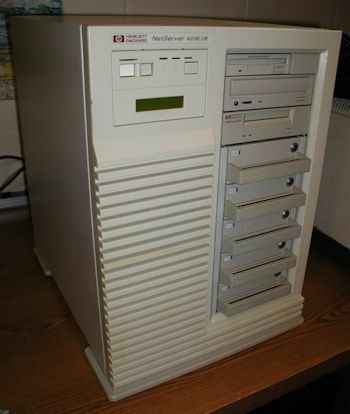 HP's NetServer cache controller. 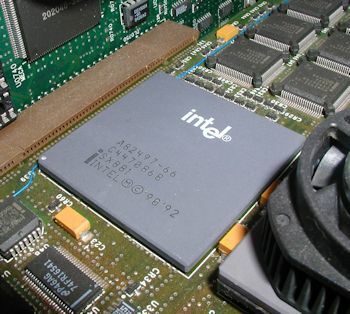 The CPU is next to this chip, covered by the fan. 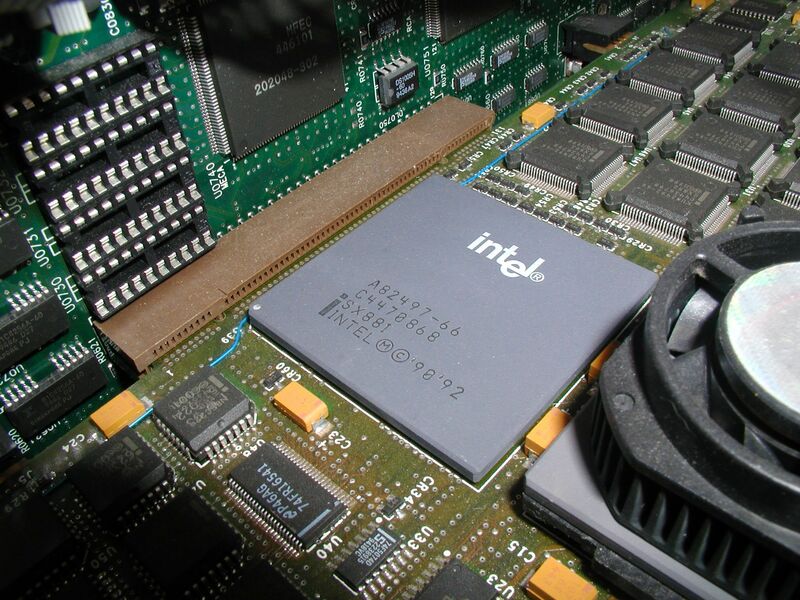 In EISA Pentium 66's like this one the CPU is installed on an expansion controller not the main CPU. Click for larger view. The installation guide lists the one 466 and three Pentium models as options of the same NetServer. I believe the 4d/66 was the "cheap option" of the 4, but otherwise they're identical if upgraded. 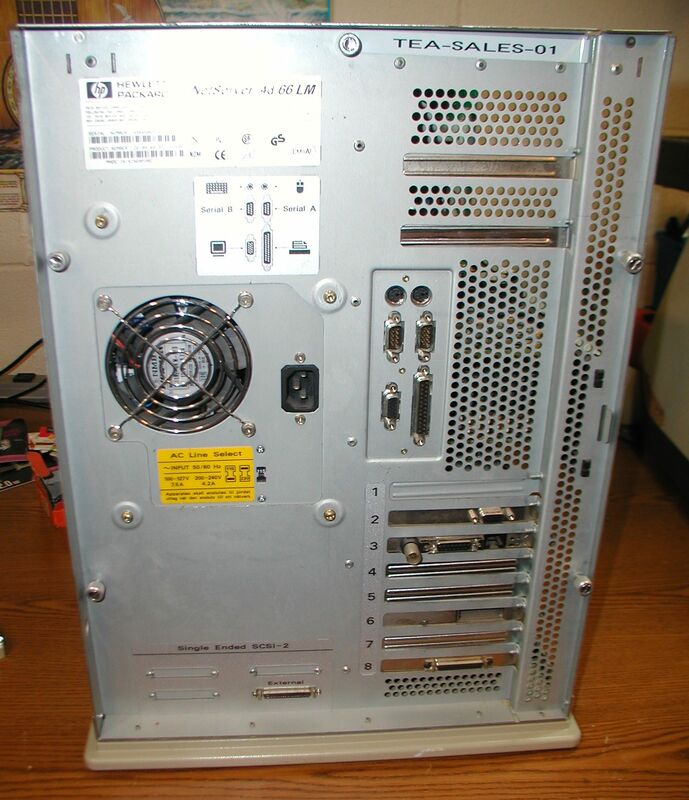 From the rear one can see an additional VGA port and ethernet card, plus another external SCSI port. NEXT: - The power supply cut out. I located and ordered a replacement power supply. Concluded the issue with power is a dead Dallas clock chip not the power supply being dead, kind of a dumb thing for me not to realize that right away. Ordered the Dallas DS1287 from a US supplier. Ordered a replacement power supply, but it was as bad as the one I already have installed. Looking for a good supply to get this machine back up and running again.